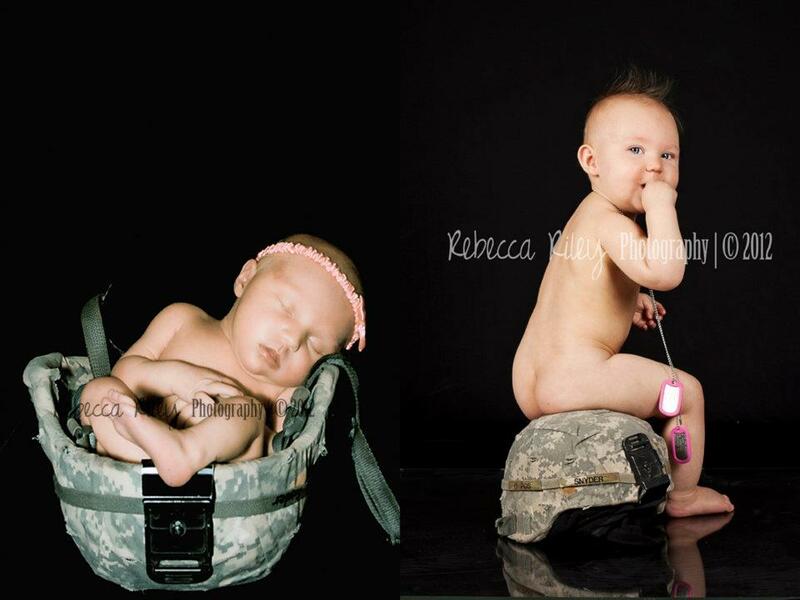 Are you ready for some more baby cuteness!!!? 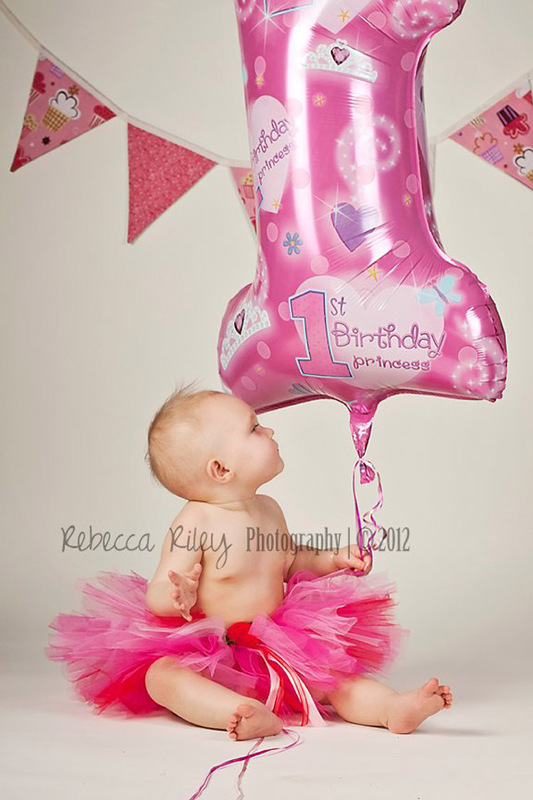 Rebecca Riley Photography is a on location (yep she comes to you!) maternity and newborn photographer based out of Wylie Texas but serving the Dallas-Fort Worth area. 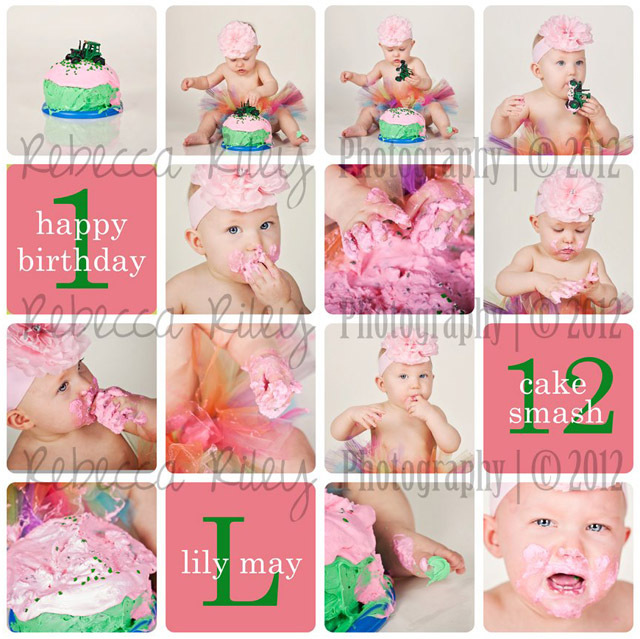 She describes this fun cake smash, "I first photographed Miss Lily when she was 6 days old, and still to this day it was one of my favorite sessions! She was so good and so adorable. 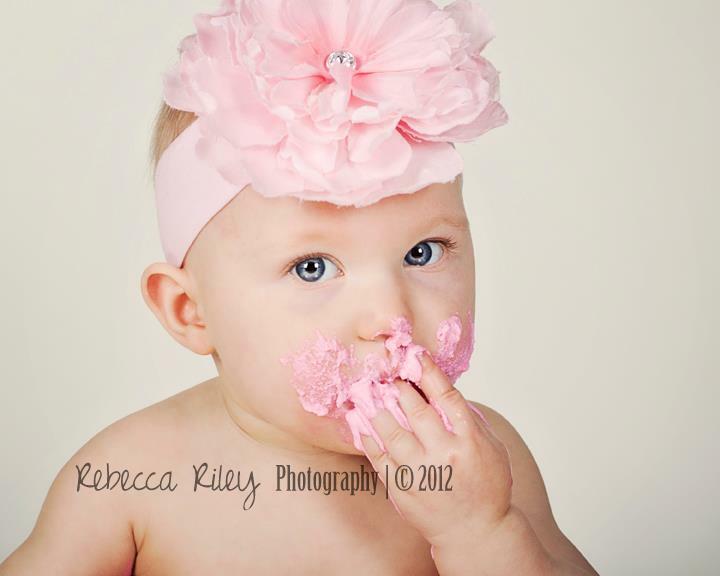 I was so excited when her mom asked me to do her first birthday cake smash session! These are one of my favorite things to do, watching a one year old explore and get so excited. 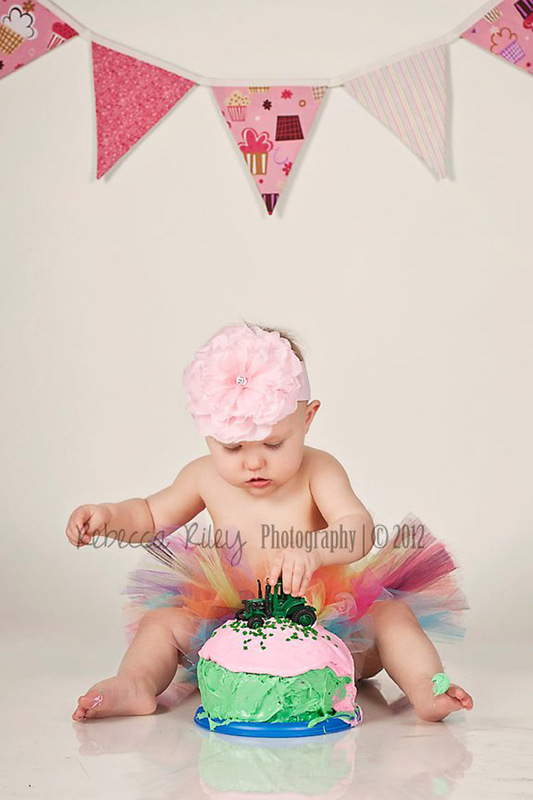 Her mom made this adorable little cake and isn't the banner by Stuff So Simple & Tutu by Tulle Tutu Boutique adorable!!"